Winter is still here - with the extreme weather we have been experiencing snow removal has been an ongoing concern in Ward 7. My office has received many calls and we have tried our best to address the poor level of service our community seems to be receiving. This is a clear example of the suburbs not getting the same level of service the downtown core does. While we need to have some understanding that there is a longer turnaround time for service under extreme weather conditions the phone calls my office received indicated our community was being ignored. At the February meeting of City Council I presented a petition with hundreds of signatures from seniors in the community demanding an explanation for the poor service they received. To date I have yet to receive a report back from City Staff. If you have any questions or comments about the snow removal service on your street I encourage you to call Steven Kodama, Director of Transportation Services Etobicoke York District directly at (416) 394-8341. It is the responsibility of the Transportation Services department to ensure windrows are clear of snow to allow access to your driveway. Together we can ensure Ward 7 is serviced properly. In other news the topic of an Emery Village GO station seems to have resurfaced a few times. On a number of occasions I have voiced my opinion that a station at Finch and Arrow would benefit our community economically and strengthen the transportation services offered in the area. This has been something I have been passionate about for quite some time, so much so that 15 years ago I brought the topic forward to City Council and requested it be adopted into the Official City Plan. Essentially, the City of Toronto has already approved Finch & Arrow Road as a GO Transit site location. Since then it has been up to GO Transit to move forward with the station. However, as GO Transit is governed by the Province and not the City of Toronto it falls on the MPP to step in and move the project forward. Keep in mind, that the discussions at the City level to have an LRT or Subway have absolutely no bearing on a GO Station. 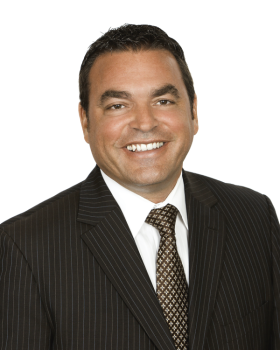 You should call our MPP, Mario Sergio at (416) 743-7272 to let him know that you wish to see progress with the Emery Village GO station.